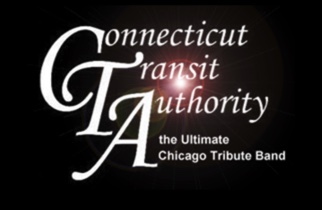 On Saturday, October 19, 2019, Connecticut Transit Authority will be taking the stage at 8:00 PM! Connecticut Transit Authority faithfully recreates the music of one of the greatest American bands ever, Chicago. They focus on the early years of Chicago, better known as the "Terry Kath Era", when the band was raw with emotion, heart and soul. Songs from Chicago's 1969 debut album Chicago Transit Authority through 1977's Chicago XI are covered here with attention to detail and respect for the originators of these timeless classics. Our set list contains hits like Does Anybody Really Know What Time It Is, Make Me Smile, Beginnings, Just You 'n Me, Dialogue, Old Days, 25 or 6 to 4 and many more! Tickets to see this incredible performance are $25 for General Admission and $30 for VIP Reserved Tickets (plus fees).